Day Two of the SIA Snow Show in Denver we continued a deep dive into our 2016-2017 snowboard gear preview. It was a great mix of large and small companies bringing new technology to their 2016-2017 snowboard gear lines. 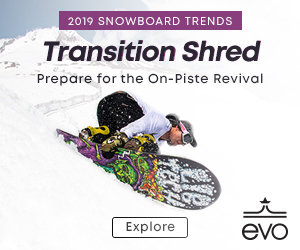 You’ll find 2016-2017 snowboard gear from top snowboard companies, custom snowboard designers, and snowboard bindings and accessories.Check out the galleries for Oakley, CandyGrind (CG), ThirtyTwo Boots and Outerwear, DC Snowboards, Sessions Outerwear, Volcom Snow, Gilson Snowboards, Niche Snowboards, Slytech Protection and Shred Optics, Stance Snow Socks, Remind Insoles, Yes Snowboards, Under Armour, Now Bindings, Celtek Mittens and Gloves, Flow, Union Binding Company, Neff Outerwear and Accessories, Jones Snowboards, Slash Snowboards, and Carver Skateboards. Oakley will introduce a line of helmets in 2016, a solid goggle offering, and accessories. Their goggles get some nice upgrades: a new low-light lens and a defogging system. Great new styles in their glove and mitt line, as well as some lightweight jackets. CG also launched a kids line kushi-riki with all proceeds going to a foundation that opens orphanages in Africa. Continues to dominate in the snowboard boot line, and adds some new stretch materials in their outerwear. 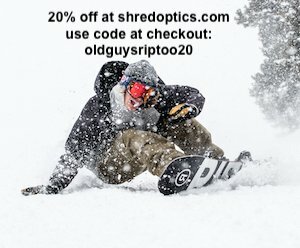 The Jeremy Jones boots have amazing technology. The Torstein Horgmo line of decks and outerwear is sure to turn some heads on the mountain. Sessions returns as more of a boutique line. Great style as usual. Volcom has quickly become one of the top lines in snowboarding; from outerwear to winter-ready boots (Terje Haakonsen and Bryan Iguchi signature boots), this season is stacked Great styles and some amazing collaborations the 2016/17 line will have you riding in style. The Bryan Iguchi line is a must-have. A small company out of Pennsylvania with a very unique base concept. “Gilson is an American snowboarding company that designs bases in three dimensions for an enhanced feel on the mountain.” Review coming soon! 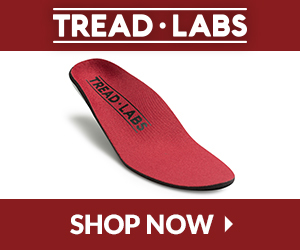 Full line of performance insoles for all action sports. “Remind Insoles began in 2008 with the intention to produce the best self-forming performance enhancing orthotic insoles on the planet.” Review coming soon! DCP, Romain, JP and Tadashi Fuse and some amazing young guns are cooking up some killer snowboards for 16-17 at Yes! They kill it again with fun shapes and amazing graphics. Official sock of the NBA, Stance continues to make improvements to their snow sock line and always find unique colorways and style for days. You’re going to find a sock you’ll love riding in with Stance! UA has an impressive line of GoreTex outerwear. “Now is focused on creating innovative, relevant technologies for today’s snowboarders.” Legendary JF Pelchat went over the 2016/17 Now Bindings line with us. 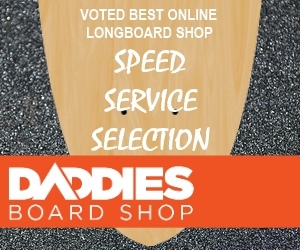 Killer line up and very unique technology integrating skate tech (enhanced board control and edge hold). Erik and Bjorn Leines continue to make a mark with their art driven gloves and mittens! Flow has huge line of snowboards, boots, bindings, snowboard apparel and accessories for 2016-2017. Thanks Dale Rehberg for chatting with us! Here are a few standouts we picked from the Flow line. Union continues to be stronger, innovative, and focused on making amazing snowboard bindings for 2016-2017. Neff has come a long way from 2002; they have some fun looks in their 2016-2017 outerwear and accessories line. 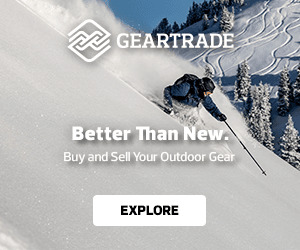 Jones Snowboards and Splitboards 2016-2017: your backcountry standard keeps stacking up the big lines! GiGi has really put his signature into Slash; these boards are always unique and look fun to ride, we appreciate his style. Combining the surfskate world, Carver allows you to pump your way around with ease.